Others cite difficulties with increased costs of construction and persuading reluctant clients. In other words, according to this group, ‘why’ we build sustainably has been answered. Consensus reached, amen to that. And then we continue to stumble on the ‘how,’ the pragmatics of execution. 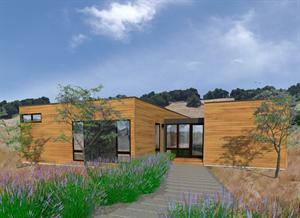 Increased initial costs and unwilling clients have long been the one-two knockout punches for sustainable design. In fact, beyond the community of sustainable design experts, you can hardly miss the frequent challenges. Particularly fierce shots target US Green Building Council’s LEED certification system, the reigning model for green design. What are the problems with sustainable design? Here’s a brief recap of the major complaints. Poor Performance. Some buildings are not living up to their promised energy efficiencies. Legal ramifications of de-certification are flying. Credibility. The ever-present bugaboo, greenwashing, undermines the credibility of the entire green tech industry. As The Atlantic said, being green is just too easy. Conflicting Standards. The myriad of green codes, regulations, and standards such as LEED, state or city energy codes, and BREEAM confuses clients and experts. Sometimes the criteria conflict. Which should we follow? Low Standards. LEED isn’t strict enough. For instance, according to recent report by Environment and Human Health, Inc., the highest level of LEED (platinum) does not mandate clean air quality and allows toxic materials. Does LEED actually protect human health? Weak Design. Frank Gehry continues to profess allegiance to sustainability while condemning the methods, specifically LEED. Why don’t we simply let A/E professionals use their judgment? Lacks Vision. LEED doesn’t inspire designers. It fails to represent true sustainability in a holistic sense including social justice, beauty, spirituality, quality of life, and education. It’s simply a checklist, not a transformational concept. User Complaints. Most recently, people that live in LEED buildings have started their own anti-sustainability campaign. Gives even the most devoted believer pause, doesn’t it? What happened to the magic? Where’s the spirit of enthusiasm that inspired a movement? Are we truly building sustainably? Is LEED completely inadequate? Is there a fundamental lack of public support? How should responsible, environmentally-concerned AEC professionals respond? From this list of attacks, I see a pattern of three significant types of problems. Is LEED the best option for sustainable design? Several of the items (performance, user complaints, and conflicting standards) confront LEED. Does it need tweaks or a major overhaul? Or should we throw it out and move on to a better system? Why is there a war between sustainability and design excellence? Can green building and good design co-exist? Gehry gave it air, but believe you me, he’s got a whole cadre of cheerers. Lines are drawn. Sustainable design is after all the single most critical problem that the modern building community has ever faced. Rather than the promised upward trend of endless new technologies and progressive growth, we have discovered epic mistakes, some that are irreversible. Our buildings make people, ecologies, even the planet sick. We abuse energy, waste resources, and destroy natural systems. So where do we start? How do we learn a new way of thinking? Watching the tsunami of environmental catastrophes aggregate, brilliant people have pondered the problem for decades. We have practiced many new ways over the past ten or fifteen years. More than that, environmental damage represents the first massive step backward that the industrialized construction industry has ever faced. We don’t even have the patterns required for identifying, analyzing, and solving problems at this scale. It’s nothing short of a new way of living; a new way of being. If in fact, we shape our buildings, and thereafter they shape us, are we sick too? I have my ideas. And I bet you do too. I plan to tackle this list, and perhaps a few other stray topics, over a series of posts. I hope you’ll read, and more than that, I hope you’ll join the conversation – here or on twitter where you’ll find me as @urbanverse. Because I sure don’t have all the answers, or know everything. I know what I know from my experiences and study. And thanks to the joy of internet and research methods, I can gather a lot of data. I believe it’s important to open the conversation. Complaints deserve fair analysis. And I believe the more we challenge our practices, values, and solutions, the better our work. Are we true green? Are you creating truly sustainable environments? Are we giving future generations a reasonable chance? Hang on, bumpy road ahead. 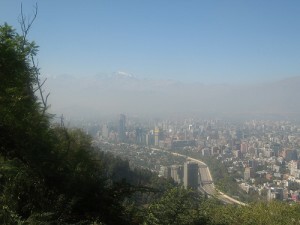 Smog Santiago | Flickr – Photo Sharing! Last week, I covered a list of 20 items from The Futurist magazine’s Outlook 2010 (Nov-Dec 09 issuehttp://bit.ly/xFR5C) that will shape 21st c cities.http://bit.ly/154×84 Now I am adding other trends, ideas, and forecasts beyond their list. I addressed megacities, water, and robotics in the first three.http://bit.ly/2CZkcS http://bit.ly/4Cmu32http://bit.ly/1TGe4T This article considers the city as a whole system. We see the modern, industrial city in parts. One segment is for houses, another for industrial, and entirely other areas for shops and offices. Consequently, we drive or take public transit from place to place. In the mid 21st century city, we will use and create whole cities and buildings differently than we did industrial cities. Several forces are causing cities to change shape. First of all, commutes in cars are expensive, dangerous, and time consuming. No one likes to sit in congestion for hours every week but they do because their jobs and their families are separated by miles. In the past twenty years, new ideas such as New Urbanism and walkability emerged to change that, which will become evident in the next few decades (see Living Cities below). Second, women in the workplace increased reasons to have home and work closer. In addition, higher energy costs, aging population, and environmental problems influence new urban patterns, as will virtual and augmented reality. Perhaps most significantly, cities are now seen not just as machines for moving people and produce but as places for living. The Project for Public Spaces looks at how to create engaging public spaces that focuses on distinct places (see diagram).http://www.pps.org/ People seek higher quality, diverse urban experiences and engaged communities. I consider how looking at whole cities shapes 21st century built environments: the Living Building Challenge and Living Cities. An earlier model called the triple bottom line also accounts for the quality of life in terms of: people, planet, and prosperity; or sometimes referred to as: social equity, ecology, and economics.http://bit.ly/bR2cX I worked on a 3,000 acre adaptive reuse of a former naval base in North Charleston SC called Noisette with BNIM and Burt Hill architects that used the triple bottom line approach.http://www.noisettesc.com/ The developer, John Knott, went to great effort to incorporate a whole system approach to build a community, not simply bricks and mortar, and subsequently was recognized by ULI and ASLA for urban design excellence. Ecology, heritage, and arts as well as economics drove decisions. Clearly, the push to consider social equity, wellness, experience, education, social justice, etc in measuring the impact of building choices will reshape future cities. We are beginning to frame questions about cities not in single terms such as congestion or real estate values. Instead, the city is seen as a place of distinct experiences for building communities. A number of models and theories support various cures for industrialized, car-based cities, and clearly I shouldn’t even try to summarize it too briefly. My point is simple (and hopefully not overly simplified): these ideas have certain commonalities and compatibilities, although not always creating precisely the same impact on cities. The New Urbanist movement promoted the first major concept for post-industrial cities in terms of public spaces, pedestrian-oriented, and mixed uses so that major services were within walking distances.http://bit.ly/fhGhg Related patterns emerged as walkability, density, green cities, compact cities, traffic calming, and even slow cities, which are based on the idea of slow food and a less frenetic pace.http://bit.ly/4hshXh All of them address anti-dotes for industrial cities, and have by and large compatible intentions. Each concept relates to the idea of the quality of life, the experience of the city, and reconnecting life and cities. Furthermore, the idea of the agile, resilient city, the adaptable city is emerging. In other words, while modern cities traditionally are planned, infrastructure built, and development begins, new cities may emerge in a more flexible way. Any city that relies chiefly on cars as transportation will continue to be dominated by transportation systems, an extremely costly, rigid form. Similarly, fixed rail system creates a very obdurate infrastructure. To create completely new urban shapes, many elements come into play: technology, demographics, sustainability, economics, and attitudes. Furthermore, while these trends address positive actions, cities are also places of decline and sometimes complete societal collapse. While I previously said I would write about geo-engineering and infrastructure in this post, I saw that to think of those topics comprehensively, whole cities came first. Technology including geo-engineering will be next.